In some cases you may prefer Outlook to always ask you if you want to work offline - instead of working online or waiting for it to time out. 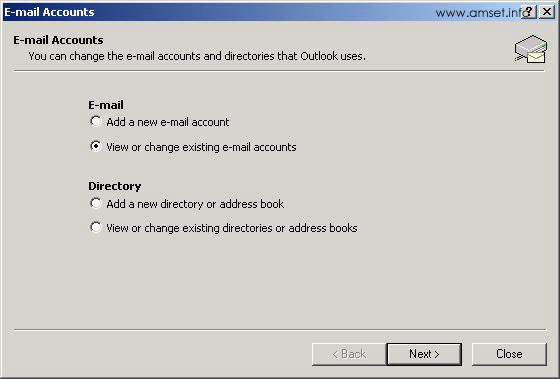 This is a function that is supported by Outlook, although the option is buried within the application. This setting is largely redundant with Outlook 2003 and higher when cached mode is enabled. Before you can use this facility, you need to have setup offline folders and synchronised email - this is covered in a separate page here. 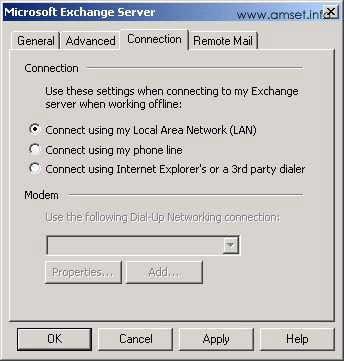 If you want to return to working online - change back the connect options to the default - see the screenshot below. 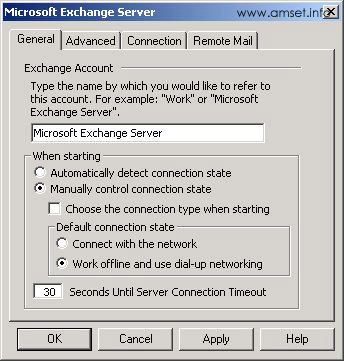 Screenshots from Outlook XP - very similar in other versions. 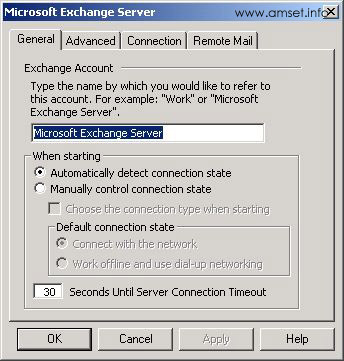 Click Tools, Email Accounts in Outlook. 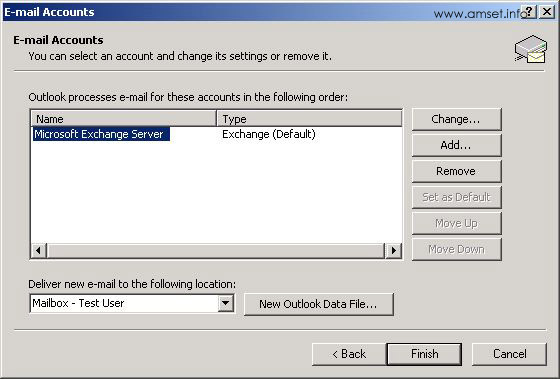 Ensure that "View or change existing email accounts" is chosen. The account list will be shown. 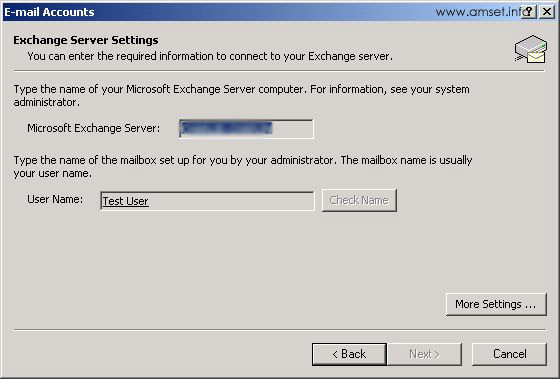 Make sure that "Microsoft Exchange Server" is select and click on the "Change..." button. The settings of the account will be shown. Click on "More Settings..." in the lower right corner. On the first screen, change the default options (shown below) so that "Manually Control Connection State" is enabled. However you should leave "Default Connection State" to "Connect with Network". This allows you to control how Dial up Networking connects to the Internet and when. Click on the tab labelled "Connection". Verify that "Connect using my Local Area Network (LAN)" is enabled. This should be the default and you shouldn't have to change anything. Press Apply and OK. You should return to the main account screen. Press Finish to complete the process.